& 'Ditsy Dots', a new design for The Colour Collection, which you can find *here*. They are just £1.50 each - just 'til Christmas Eve. 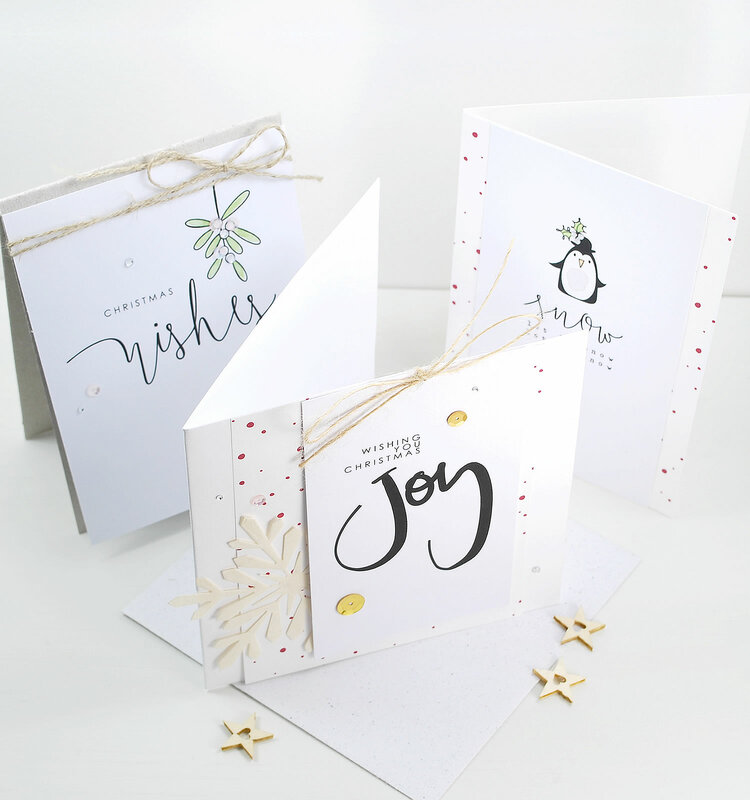 Card Bases: 135mm Square White Card Base, A6 hand-cut from Smooth White Card & Greyboard. Penguin Image: 'Christmas Traditions' Image Stamps printed onto Smooth White Card & lightly water coloured. Selection of small Sequins & Crystals, Natural Kraft Twine, Linen Twine. yipeeeeee...you are back. Missed you and I'm ready to get some new designs.